Find out about our client portal and download our NEW client mobile app here! ﻿﻿Welcome ﻿﻿to ﻿﻿Ruff ﻿﻿Day, LLC! for Dogs, Cats, Birds, Fish, Small animals and Exotics. Proudly serving Hamilton and the surrounding area since 2012! ﻿Ruff Day, LLC provides services to help you with every pet in your family, including dog training, dog walking, pet sitting and more. We are very pleased to be able to provide our clients access to our online portal system. This complimentary service allows our clients to submit/change visit requests, see a schedule of upcoming visits, receive online access to all their invoices (paid and upcoming) as well as many other great features you won't get from other pet services! Whether you are looking for a dog walker, dog trainer or pet sitter we aim to provide you with solutions and services designed to make your ruff days a thing of the past and let you have what we all want most: a long, happy relationship with your animal family members! Our in-home services provide your pets with the best alternative to doggie daycare centers or a dog kennel and ensure you can be relaxed knowing your pets are comfortable in their own home. All of our services begin with a FREE CONSULTATION! We are based in Hamilton, NJ and serve the surrounding area including areas of Mercer County and Burlington County including Hamilton, Princeton, Robbinsville, Trenton, Yardville, Allentown and Lawrenceville. 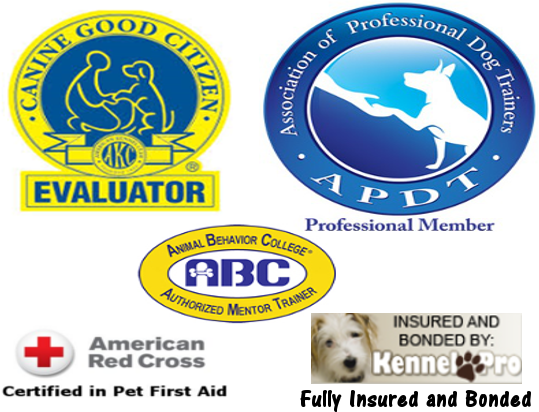 ﻿﻿Whether you are looking for a daily dog walker, pet sitting for a vacation, puppy training, adult dog training or help with dog behavior we provide the best quality service for you and your pets.